Marvel Minimates Series 50 Fan Poll Results Revealed! To celebrate the upcoming 10th anniversary of their Marvel Minimates line in 2013, Diamond Select Toys recently held a four-part fan poll in partnership with Marvel.com, in which fans could vote on which characters they wanted to see in the line’s 50th consecutive assortment. The characters in each poll were based on fan wish lists, so it was anybody’s guess who would win, and now that the results are final the line-up may shock you! (Note: Spider-Man villain Shocker was not a winner.) This series will only be available at comic shops and specialty stores in summer 2013, so be sure to pre-order with your local comic shop (or your favorite online retailer) when the time comes! The first poll dealt with the superstars of the Marvel Universe, the A-list heroes everybody knows and loves. 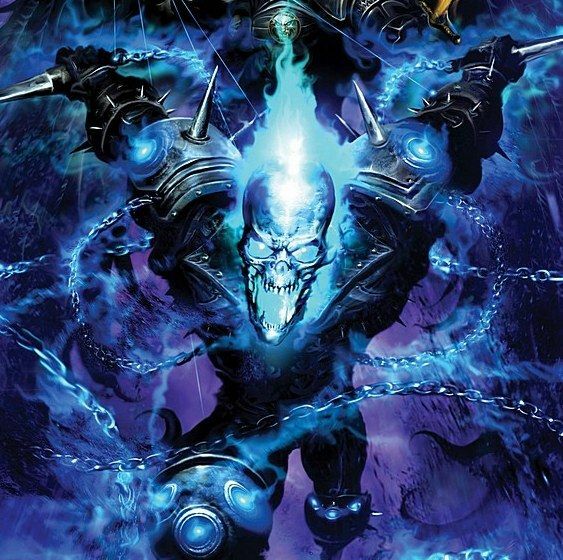 The clear winner, with 2,516 votes, was Ghost Rider, in his most recent look as Danny Ketch, complete with blue flame. Second place went to Cyborg Spider-Man, with 1,723 votes, and both characters will be made in Series 50. The second poll was entirely composed of the supporting heroes of the Marvel Universe, those who may occasionally headline a mini-series but are primarily team players. The surprising winner of this poll with 1,719 votes was Thunderbolts member Songbird — one of the few female characters in any of the polls. She will be the sole support Team member made in Series 50. 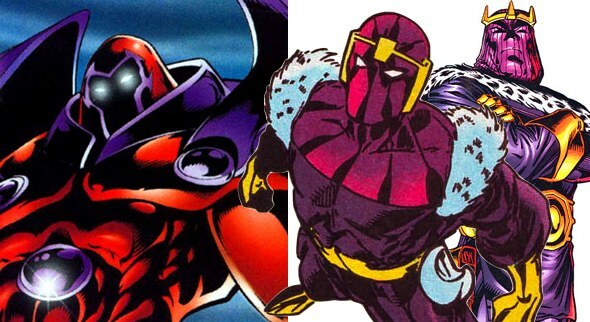 The all-villains poll gave us the largest portion of the assortment, with crossover villain and Heroes Reborn instigator Onslaught coming in first place with 1,535 votes. Additionally, the second-place winner was longtime Avengers foe Baron Zemo II, with 1,337 votes. Both will receive figures in the assortment, and Zemo will also receive the rare variant figure in the wave — his father, Baron Zemo I. The final poll was dedicated to army-builder characters who may not have individual names, but are known to fans for their roles in some of Marvel’s most epic battles. The winner, with 935 votes, was the classic Nova Corps Centurion, who recently played a key role in the War of Kings. A Corpsman will be packaged with Zemo I AND Zemo II, and will include alternate head and hair pieces to represent different characters and races. Marvel Minimates Series 48 has Four Fantastic 2-Packs! Best of Marvel Minimates Series 2 Coming to Stores Soon! More of the Fantastic Four in Marvel Minimates Toys “R” Us Series 15! The Best of Marvel Minimates: You Wanted the Best, You Got the Best!